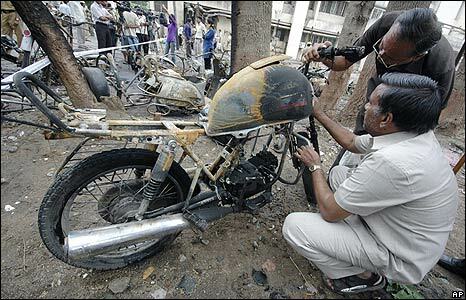 Forensic experts have been sifting through the wreckage and examining vehicles caught in the blasts in Ahmedabad. Investigators collected evidence from one of the explosions outside a hospital where survivors from the earlier bombs were being treated. 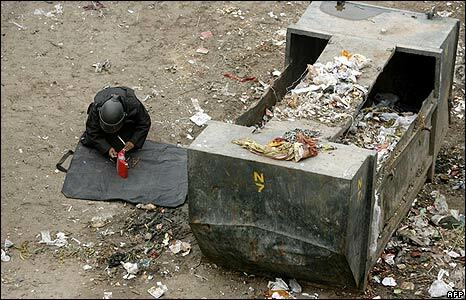 A tense crowd watched this bomb disposal expert in action after an unexploded device was found in a rubbish container. 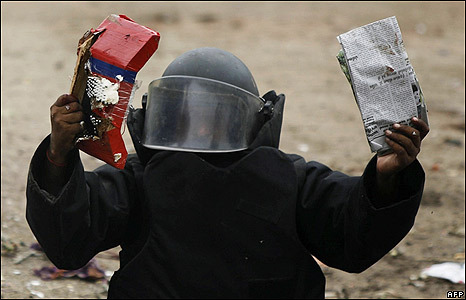 The homemade bomb is held aloft after being successfully defused. 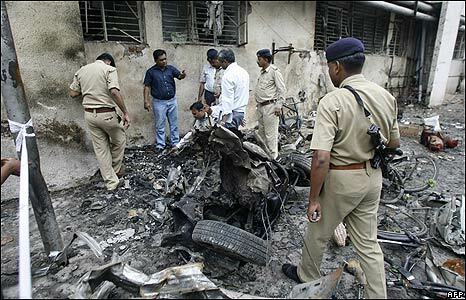 Forensic experts will carefully examine it for clues. 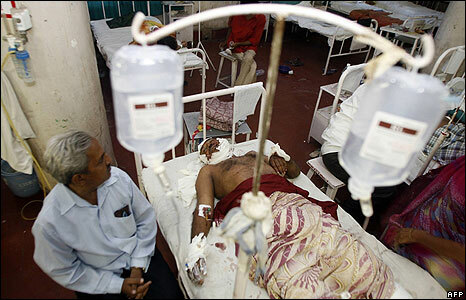 Ahmedabad’s hospitals are packed with people injured in the explosions, and extra medical staff have been drafted in. 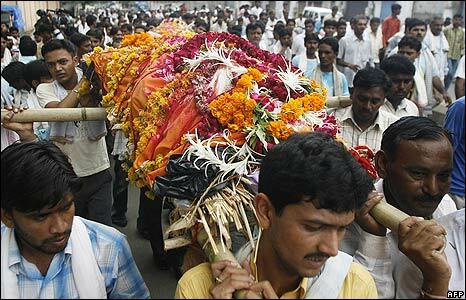 Meanwhile, the families and friends of those who didn’t survive the blasts have been organising funerals. The grief is all too much for many people who lost loved ones in the 17 explosions around the city.